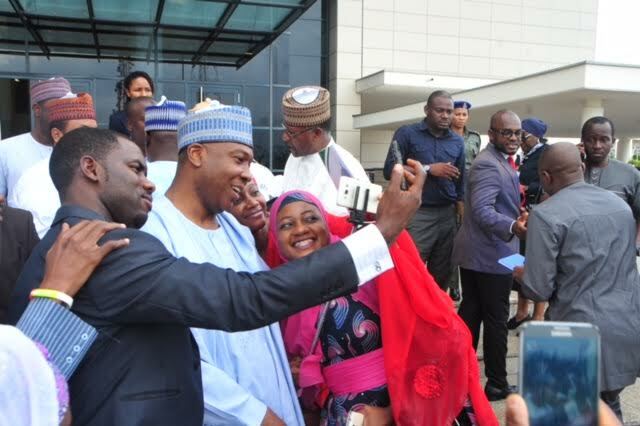 As the world marks the International Youth Day, Senate President Bukola Saraki today joined Nigerian youths to mark the event. 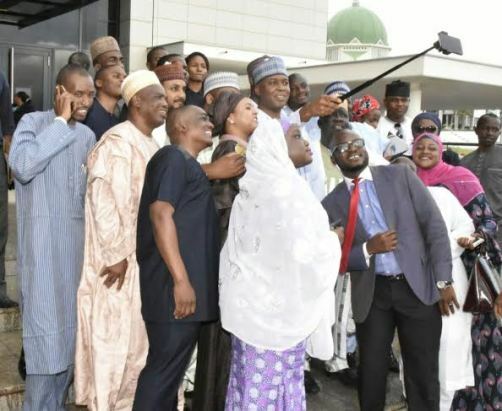 The Senate President received members of All Progressive Youth Forum (APYF) at his office in the National Assembly and cherished the moment with a series of selfies as depicted in the pictures. "I join you all in celebrating your industry, perseverance and courage. Based on the theme of #IYD2015, every young person in Nigeria must continue his or her commitment to civic engagement. "When you, as young people, succeed politically, socially, and economically, we all succeed as a nation." 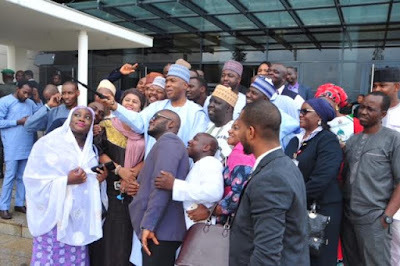 In his tweet, he commended the APYF for having representatives in all 774 LGAs of Nigeria which made the party pick 3 of the members as BOT of the party an indication to other youth groups that "If you #TakePart, you can #TakeCharge." 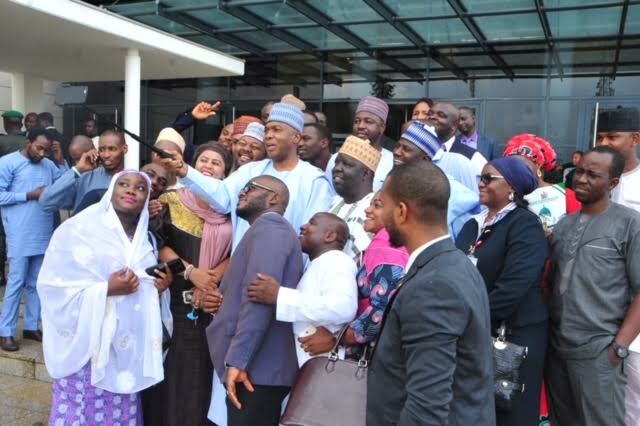 The Senate President took to his Facebook page to write: "I wish the youth of Nigeria a successful commemoration of International Youth Day (‪#‎IYD2015‬).